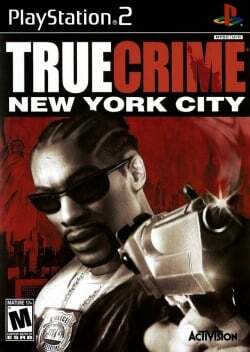 Game description: Be a good cop or a bad cop in the streetwise action game True Crime: New York City. You can explore the authentically modeled streets of New York City as a police officer tracking down criminals and administering justice. The game features a diverse weapon set, as well as a mixed offering of fighting styles that you can use to take out those who stand in your way. In addition to combat on foot, the game features driving sequences and shootouts. Laurence Fishburne, Christopher Walken, and Mickey Rourke contribute their voice talent to the game as well. Ingame is a mess of missing and broken graphics with MicroVU1. Software mode is slightly better, but still very broken. VU1 must be in SuperVU and software mode on. This page was last edited on 16 June 2018, at 20:22.